Born in Manhattan on September 1, 1940, Father Joseph (Father Joe) A. Grimaldi grew up in the Bronx. After finishing grade school at Holy Rosary and high school at All Hallows High, he became interested in joining the Christian Brothers of Ireland who taught at that school. His formation included Novitiate on the Hudson (Santa Maria), Scholasticate in New Jersey (Lakewood) and graduation from Iona College in New Rochelle, New York. He received his first teaching assignment in 1962 going to Brother Rice High School in Birmingham, Michigan where he taught Religion, English, French and Latin. After 11 years at Brother Rice as teacher and administrator, he was sent to Saint Lawrence High School in Chicago for a short (six months) preparation to take on the principal's job at Damien High School in Honolulu, Hawaii. Meanwhile, in his spare time and during the summers he received a Masters in French at Assumption in Worcester, MA and MSA in administration at Notre Dame du Lac in South Bend. After finishing his term as principal of Brother Rice High School In 1986, he began his priestly studies at Catholic University of America where he earned a MA in Theology. He was ordained a priest for the Diocese of Honolulu on August 4, 1990 and after five years as pastor at Saint John Vianney Parish in Kailua he was sent to the Angelicum in Rome to study Canon Law with the Dominicans. 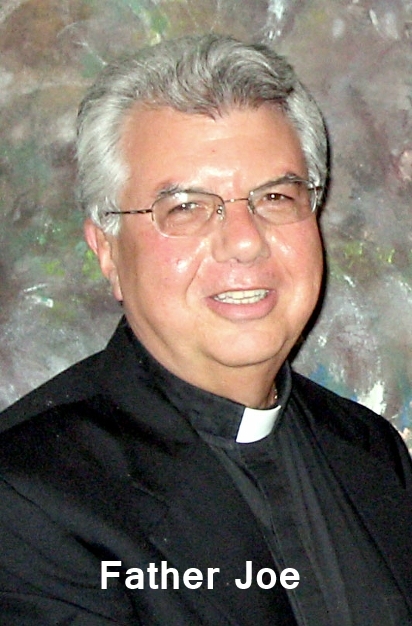 Upon receiving his JCL in Rome, he returned to Honolulu in 1998 and was appointed both Judicial Vicar and Vicar General for the Diocese of Honolulu. In the year 2007, he started "exploring" the central coast of California and served as a Chaplain at Dominican Hospital in Santa Cruz for about six months. In 2007, the Bishop of Monterey appointed him pastor of Holy Eucharist Parish in Corralitos, California and postulator for the cause of Cora Evans for canonization. In 2011, he was already 71 and so began his part-time retirement, helping at different churches and working as the Defender of the Bond for annulment cases in the Military Archdiocese. He presently resides in Bloomfield Hills, Michigan.